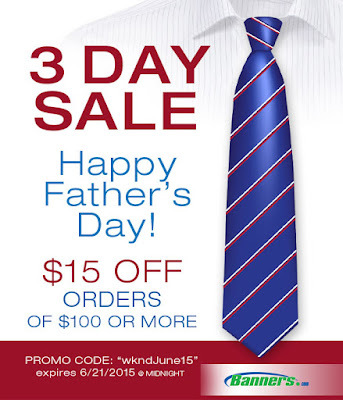 Save money this Father's Day weekend when you place your order online at Banners.com! Mention promo code "wkndJune2015" when you place your order through June 21, 2015. Offer expires at midnight, so order right away! Click here to get started on your order.